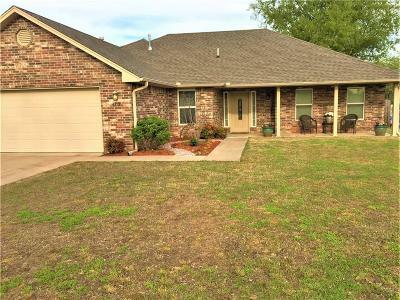 Beautiful 3 Bedroom(split), 2 full baths, Whirlpool, Open Floor Plan, 2 Car Garage with Storm Shelter in Garage. Privacy Fence. Seller will consider leaving Refrigerator, Washer & Dryer, Sectional Sofa with a strong offer. Easy access to Turner Turnpike or I-40, Located within 1 hour of OKC, Tulsa, Stillwater, and Shawnee.